Can’t declutter because it feels like throwing money away? Try these tips! Lately, I’ve been watching the new “Tidying Up with Marie Kondo” series on Netflix. Her KonMari method helps families who are ready to get rid of their clutter. She is adorable and the decluttering tips throughout the show are very helpful. there’s one issue that is not often addressed in the series that is a very real problem. It’s probably my biggest pain point when I start to declutter, and I know I’m not alone. The feeling of tossing hard earned money down the drain. I’ve had to really work hard through this process and I have some tips to share that helped me along the way. I hope they are helpful to you as well! What the heck is flow and how does it help declutter? A few years ago, I started decluttering our books. This was (and still is) a hard area for us to tackle because we both love reading and have way too many books. So, I had about three boxes full that I put in a corner of the basement for a future yard sale. Decluttering…check, maybe make $5-10 a box…check, good future plan, huh? Well, the plan did not include a couple of mice that got into the basement and into the books. They had a big time shredding and leaving their “mark” on my future plans. What a mess! What a waste! These boxes were wasting space and waiting on me to try and get maybe $20 out of them. Instead, it led to an extra trip to the landfill, which costed me money! This box of books took up valuable home space for nothing. Instead, these books could have been given away or donated for the chance to bring someone else as much joy as they did for me at one time. This was a valuable lesson learned. When I’m decluttering, I no longer see “storing stuff in another place to make a future dollar back” as an option. Things that I get out of my home that are given away or donated, keep flowing… giving me back space and giving someone else a chance to love it or pass it along. Honestly, this gives me back more peace of mind than the stress of storage and the risk of ruin! When you are trying to decide what to declutter, ask yourself what purpose that item is serving. If the item is not being used, the value of it is zero. Maybe it was used to serve a purpose at one time, but no longer does. Think about a meal. We don’t really dwell on the cost of a meal when we’re eating because it’s necessary at the time. We eat, the food served it’s purpose, and we move on. Stuff… we paid for it at the time, it served it’s purpose, and we move on. If it’s something that is taking up space and not serving a purpose, it’s just creating a collection of clutter. The collectibles? They collect dust! This strategy helps us before the clutter ever enters our home. If we can really think through purpose and intention before buying anything, it will really cut down on impulse buys that soon becomes a clutter problem. When our home is full of organized items that fulfill a need (and we can find them at the time) we gain back time and a sense of order. Look at your space as it is. Then close your eyes and imagine the space as you want it to be. When you become clear on why you’re decluttering and how things will be different when it’s gone, then you will stay focused on the tasks. Really, this vision will become more important to you than money. The best part is that it’s a vision that can easily become reality. You are going to gain back more than what seems like a loss. A space that is open, bright, and organized is an opportunity for more creativity and less stress. Think of the feeling you get when you see that empty space instead of something else that takes time and effort to maintain. You’re making an exchange for more freedom. That’s worth so much more than useless clutter! If it’s clothing, for example, then start with the quick, easy wins… those pieces of clothing that you love and wear all the time. Those go in the keep pile. When you hold clothing that no longer “sparks joy” then you part ways with the item by telling it thanks for it’s purpose when it was needed and then letting it go. I think this is a great way to overcome the blocks associated with an item’s value. You either love it or you don’t, you use it or don’t, you see it in your future or not. I love the part of telling the item “thanks” as a way to bid it farewell and move on. Really, much of the perceived value of our clutter is a battle in our mind. Anyone else had those conversations with yourself… whether it’s clothing, an appliance, an electronic device, or you name it! The first clutter battle to win is the one with ourself. It does require a shift in thinking. The “what if’s” and “maybe one day” are quite literally causing us to still pay for our clutter. It turns our home into a place of stress, pressure and exhaustion instead of what it should be… a place where we get rest and renewed strength. We can’t enjoy anything we have in cluttered surroundings. We can’t keep clutter clean. We can’t find what we need when we need it. We need a change in mindset to help us win the clutter war. One where we push through all of the what if’s and focus on creating a home that becomes our welcomed retreat. We can’t control our outside environments. But our homes and the environment we create there is within our control. Once we do anything on a consistent basis, it becomes a habit. The habits of decluttering and organizing are going to help improve in all areas of our life. Our relationships will become healthier because we will have more time to spend with the people we care about. Less arguing. Our finances will get better because we will stop buying more clutter. We’ll have organized systems to keep our bills paid on time and find things when we need them. Actually, this process will give us more time and a lighter, more peaceful feeling. That turns into renewed energy and enthusiasm. That is worth much more than money can buy! If it were, we would not have popular t.v. shows all about hoarders because, let’s be honest, we just want to know someone has more stuff than we do, right? 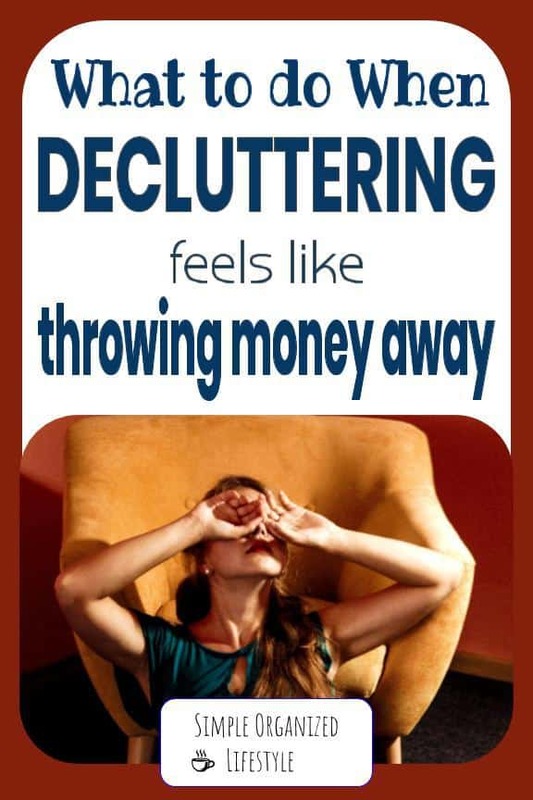 There are many support groups, challenges and conversations about what to do with our clutter! 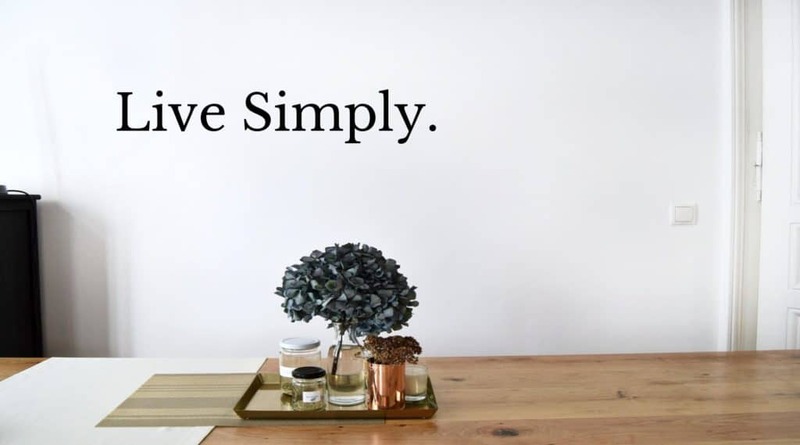 There are some exceptions with those who have chosen minimalism or may live in a tiny home or RV, but the majority of us get to a point where we must reduce the clutter to lessen the anxiety it creates.